This Animal print obe is made from good quality 100% Poly Satin fabric with the feel and look of the silk and at the same time is regular machine washable. 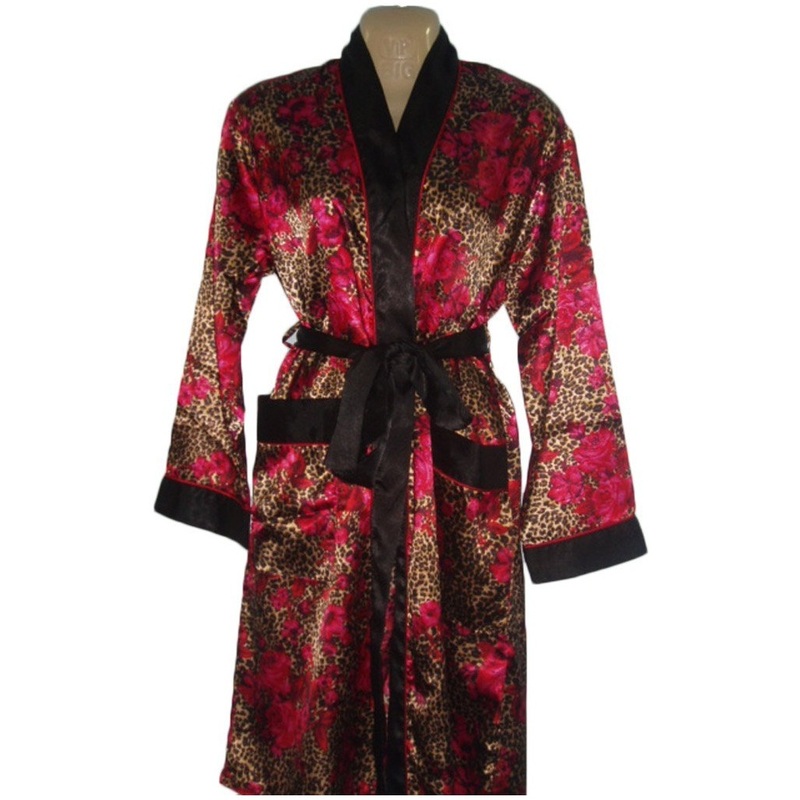 This Robe is also provided with two front pocket to put your favorite snacks while watching TV or to keep your cell phone while walking around the house. Also decent two inches cuff and one inch hem make this robe more stylish.